Ireland is separated from Great Britain by the Irish Sea. 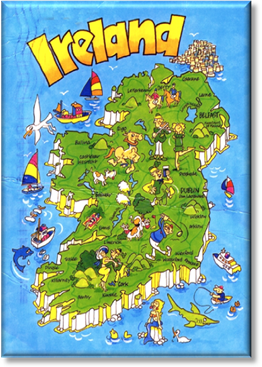 The island is politically divided into two parts: The Republic of Ireland called Eire, and Northern Ireland called Ulster, which is part of UK. 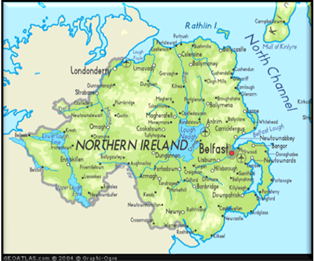 Northern Ireland covers an area of 13 483 (thirteen thousand four hundred eighty three) square kilometres and its population over 1.5 (one and the half) million. The province of Northern Ireland consist of six counties: Antrim, Down, Armagh, Tyrone, Fermanagh and Londonderry (or Derry). 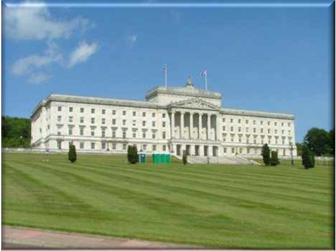 The capital city is Belfast, which has a population of almost half a million. 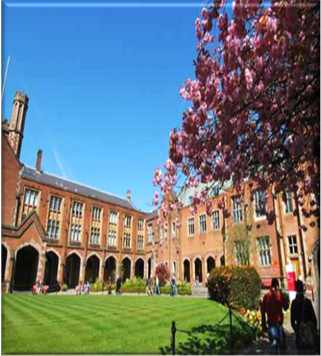 Belfast is chief port and industrial centre of a province. The city is well – known for shipbuilding – it was here that the „Titanic” was built and sent out on her voyage in 1911 (nineteen eleven). There are many cultural and leisure facilities in Belfast. 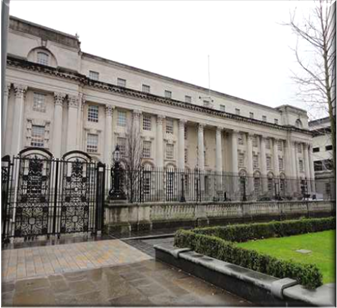 The city boasts of many fine buildings such as Royal Courts of Justice, Queens University, and the Royal Parliament Buildings at Stormont. 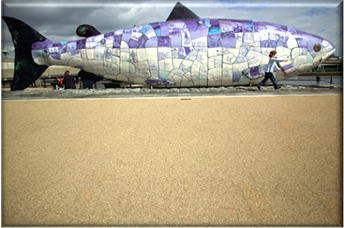 One of most interesting is The Big Fish – it’s a salmon near the river Lagan, which is made from piece of newspapers with information about important event in Belfast. Former poet and Catholic Bishop of Down and Connor, Dr William Philbin wrote this of Belfast: “Belfast is a city walled in by mountains, moated by seas, and undermined by deposits of history”. The southern part of Northern Ireland is made up of lowlands. Mourne Mountains, which contains the highest mountains – Slieve Donard 849 metres high are in south – east. Lough Neagh in the centre of province with an area of 392 (three hundreed ninety two) square kilometres, is the largest lake in the British Isles and ranks among the forty largest lakes of Europe. A second extensive lake system is centred on Lower and Upper Lough Erne, a 50-mile-long waterway which is popular for fishing and boating holidays. 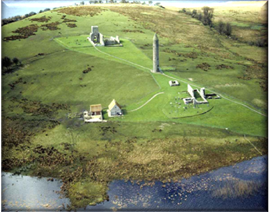 One of most interesting islands in Lough Erne is Devenish, where stands a perfect 12th century round tower, small church of about the same date and the remains of a 15th century abbey. 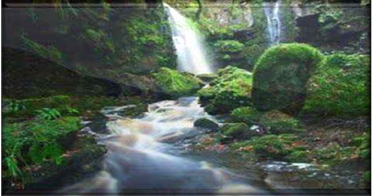 The Glens of Antrim are nine glens or valleys of Antrim, which formed lovely and romantic area of rivers, waterfalls wild flowers and birds. Glens was famous for story–tellers, but nowadays people like this would be hard to find. Perhaps the last story-teller was Peig Sayers, who died in 1958. It was said that she had 375 story to tell. 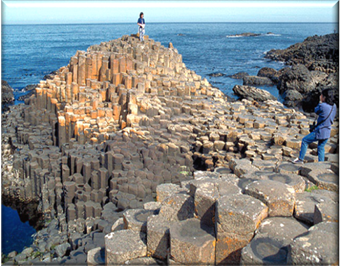 The Giant’s Causeway is a mass of stone columns standing very near together. The top of columns form stepping stones leading from the cliff foot and disappearing under the sea. There is a legend that Causeway was work of giant Finn McCool, the Ulster soldier and commander of the armies of the King of All Ireland. People said that Finn lived on the North Antrim coast and that he fell in love with a lady giant. She lived on an island in the Scottish Hebrides, and so he began to build this wide causeway to bring her across to Ulster. 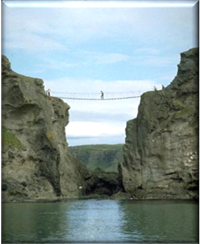 Carrick-a-Rede Rope Bridge is a rope suspension bridge near Ballintoy, County Antrim, Northern Ireland. The bridge links the mainland to the tiny Carrick Island. The site is owned and maintained by the National Trust, spans twenty metres and is thirty metres above the rocks below. Irish (Gaeilge) is a Goidelic language of the Indo-European language family, originating in Ireland and historically spoken by the Irish people. Irish is now spoken as a first language by a minority of Irish people, as well as being a second language of a larger proportion of the population. It is considered to be an important part of the island’s culture and heritage. 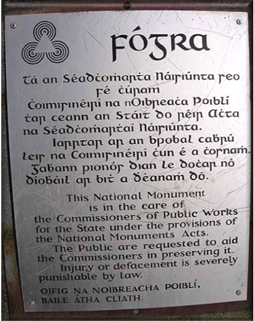 It enjoys constitutional status as the national and first official language of the Republic of Ireland. It is an official language of the European Union and an officially recognised minority language in Northern Ireland.